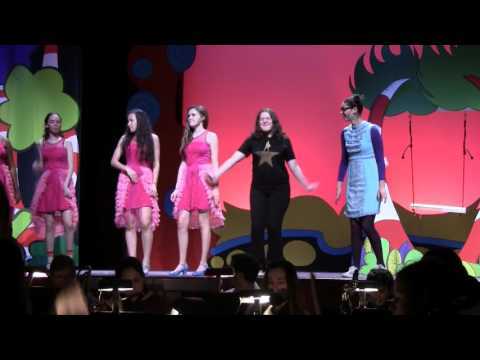 SLEEPY HOLLOW, N.Y. -- Sleepy Hollow High School recently released a dress rehearsal video of their upcoming production of "Seussical." As previously reported , lead characters from "Seussical" visited local elementary schools in preparation of the production. "Seussical" will take place at Sleepy Hollow High on Friday, April 15 and Saturday, April 16, at 7:30 p.m. A special family and senior citizen show will be held Thursday, April 14 at 6 p.m.
A $15 family pack, including four tickets, a concession voucher and a Seuss gift, is available for purchase at each elementary school office.